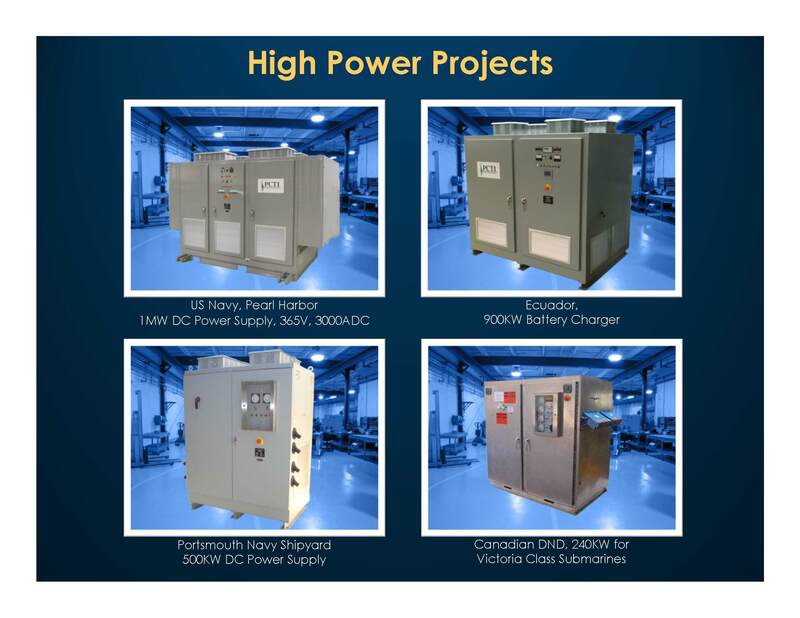 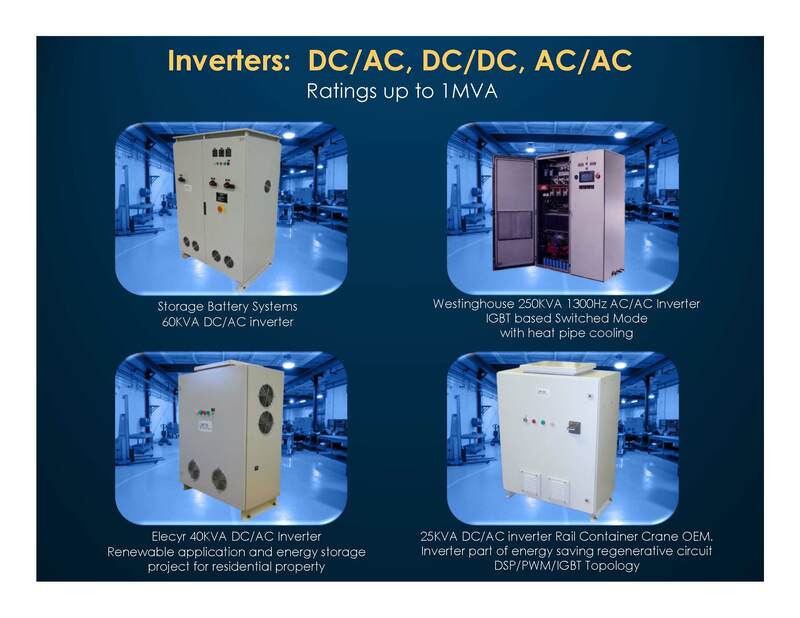 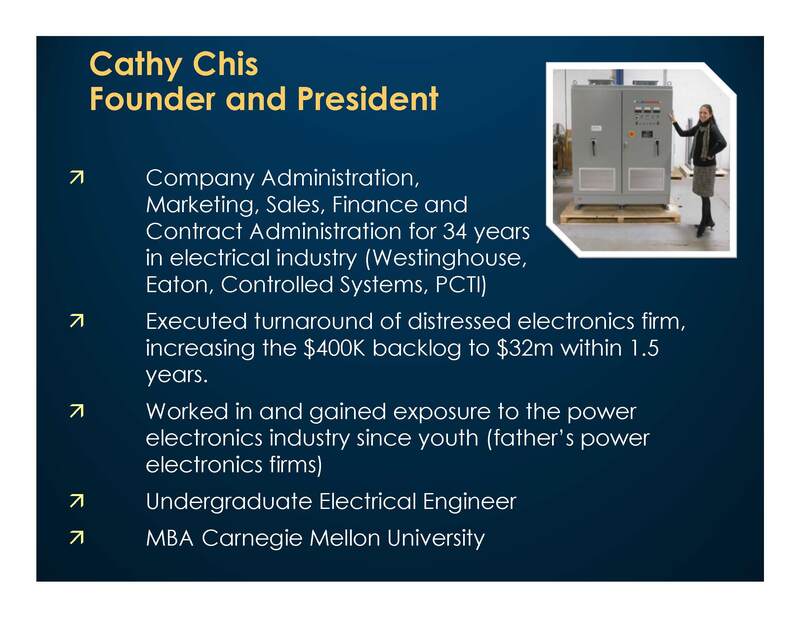 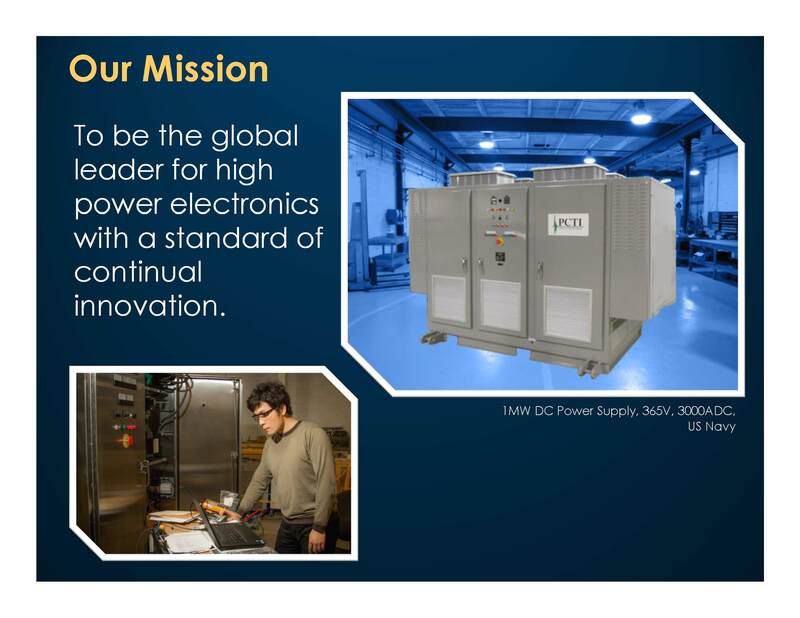 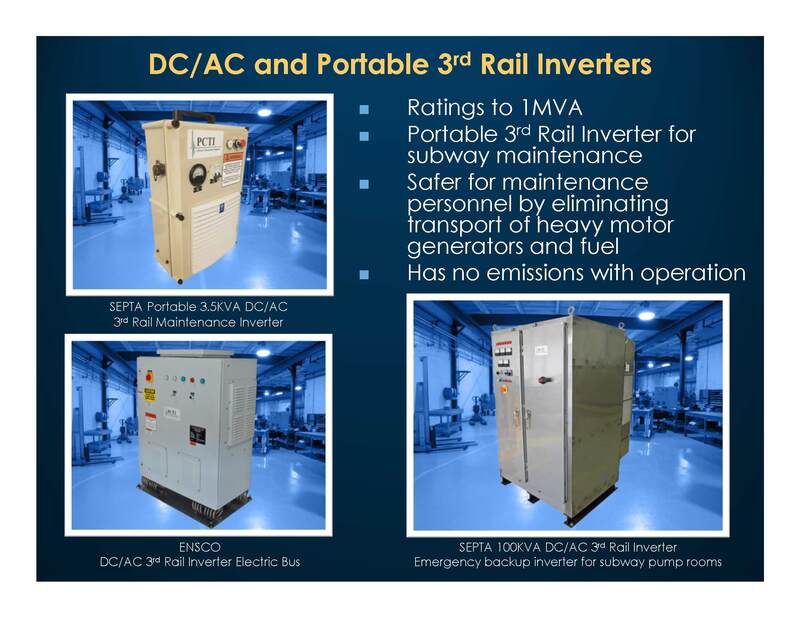 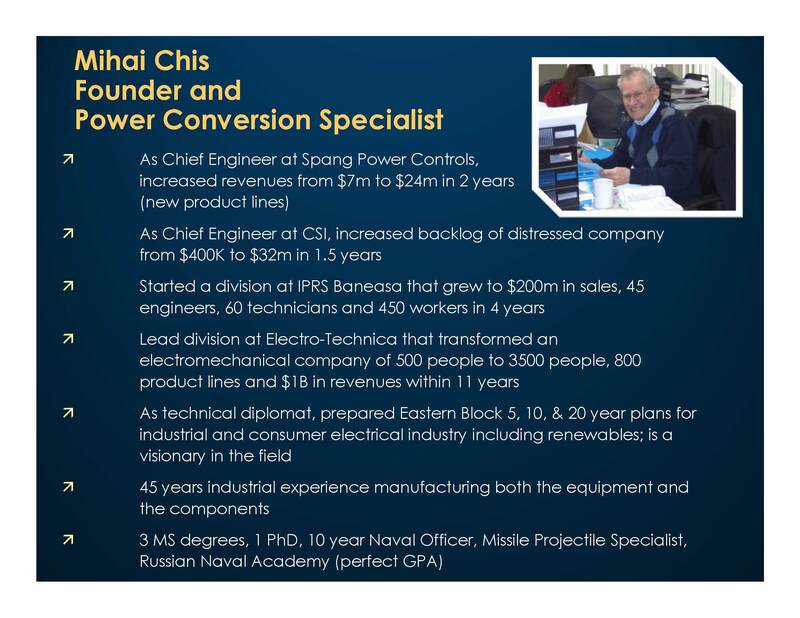 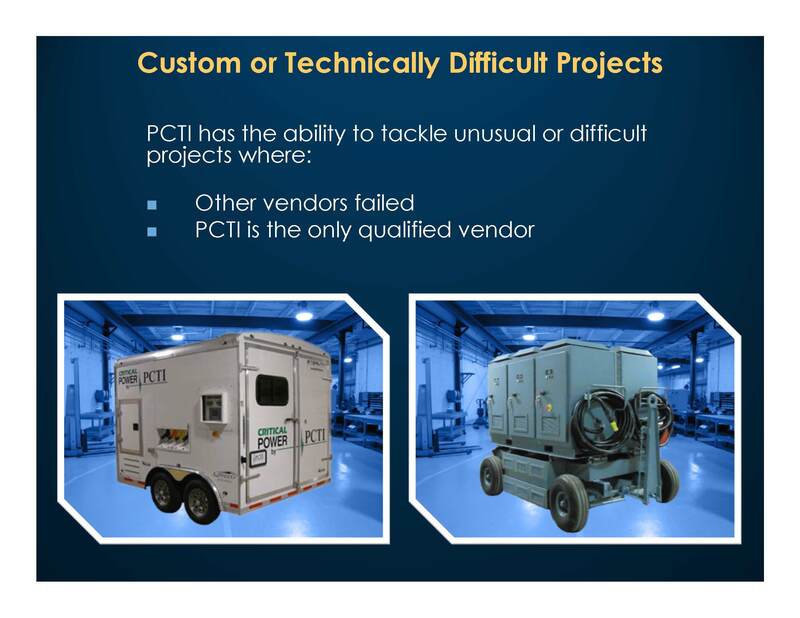 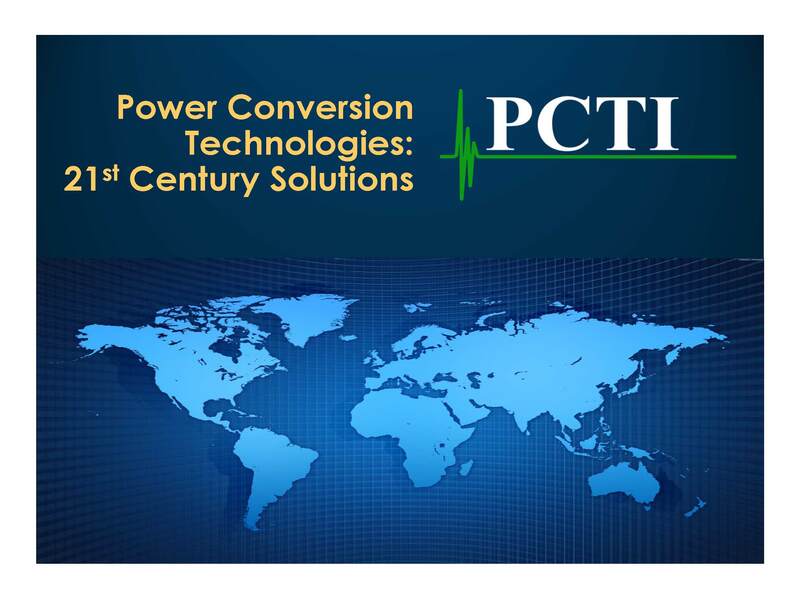 About PCTI - Power Conversion Technologies, Inc.
Power Conversion Technologies, Inc., a certified DBE Woman-Owned business, designs and manufactures equipment in response to the growing demand for power electronics in the highest power ranges. 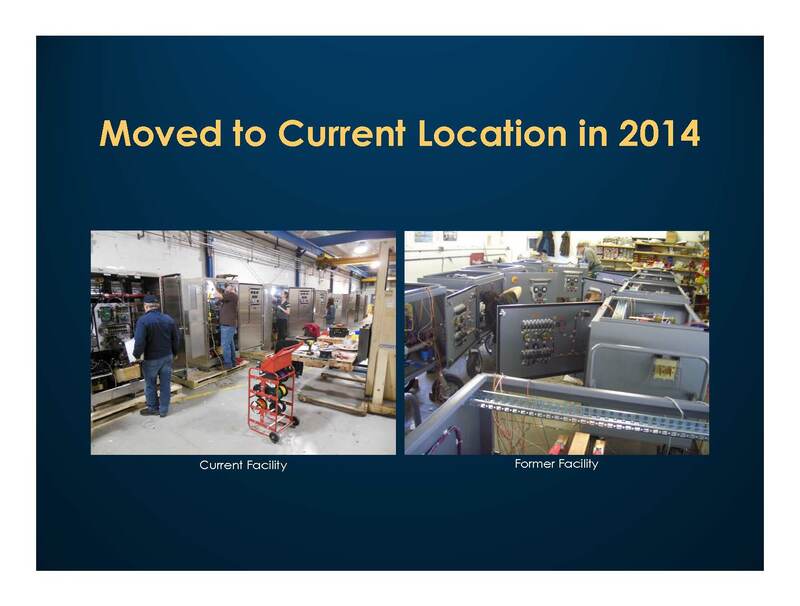 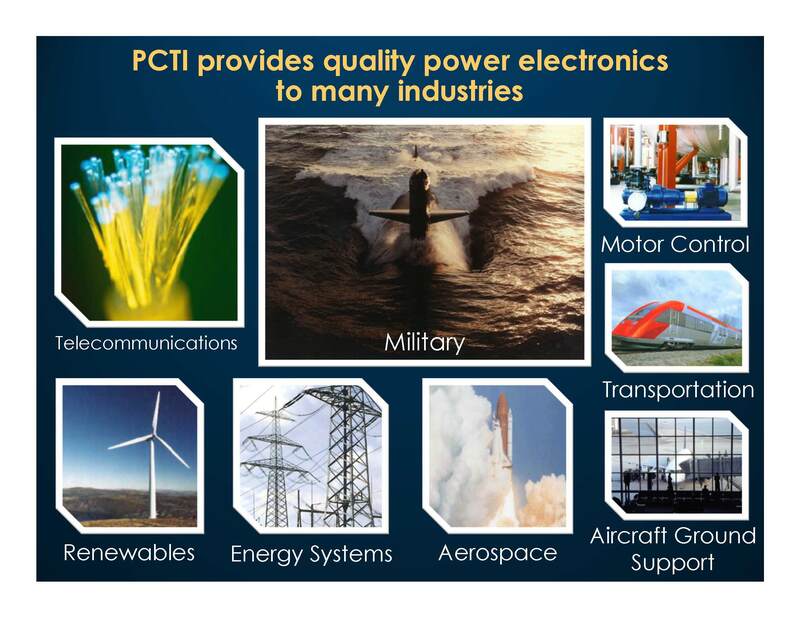 PCTI has been addressing a new era in power electronics as applied to industrial equipment since 1991. 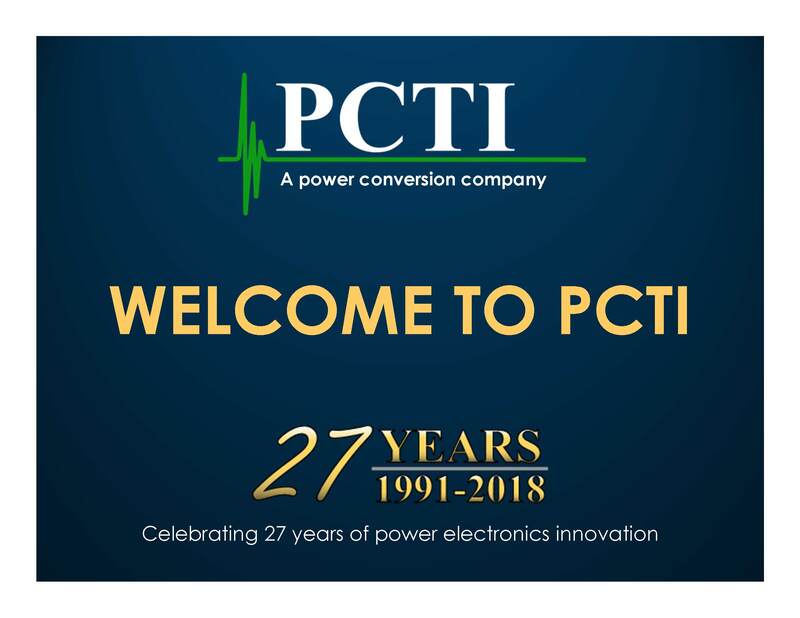 PCTI’s engineering staff has in-depth knowledge in the key areas of power conversion such as power semiconductor analysis and application, thermal exchange, magnetic design, packaging, DSP (digital signal processor) control for converters/inverters, embedded system design, digital communication, and HMI (human machine interface). 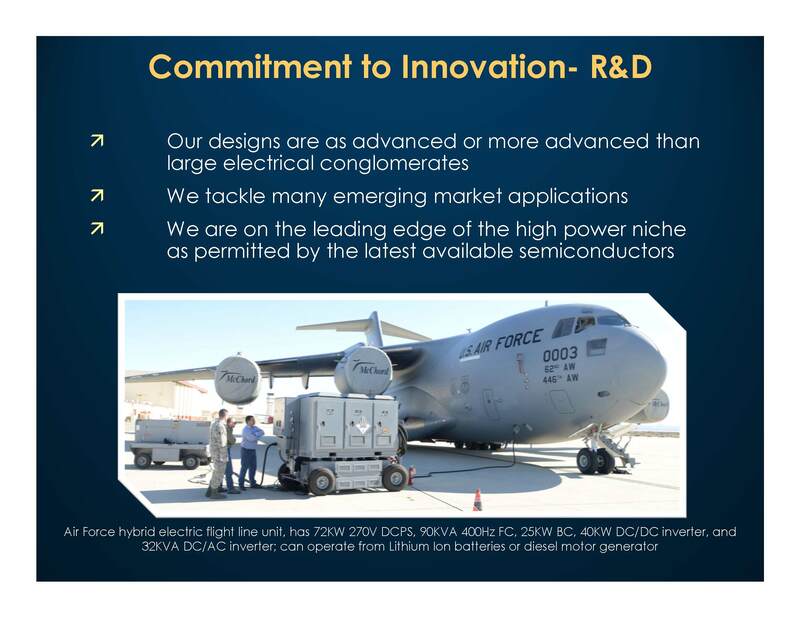 Our leading edge designs incorporating our 6th generation of DSP control compliment our customers emerging applications such as an arc-heated hypersonic wind tunnel or a hybrid electric flightline ground support generator system. 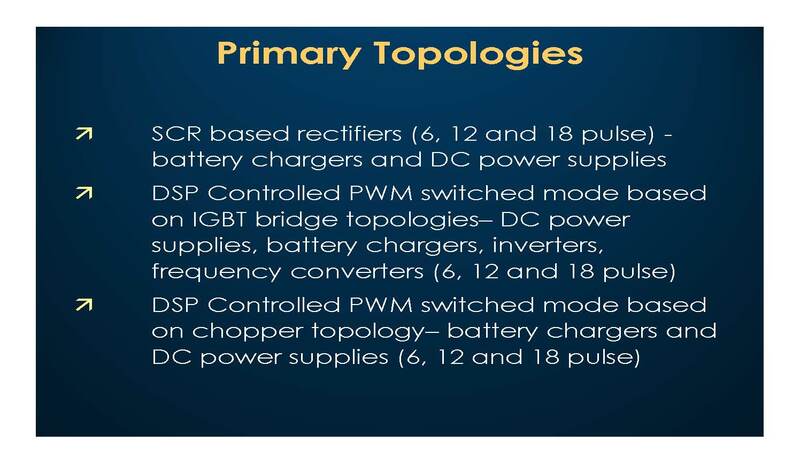 New materials and components are continually analyzed so that we may be able to pass increased quality and decreased cost on to the customer. 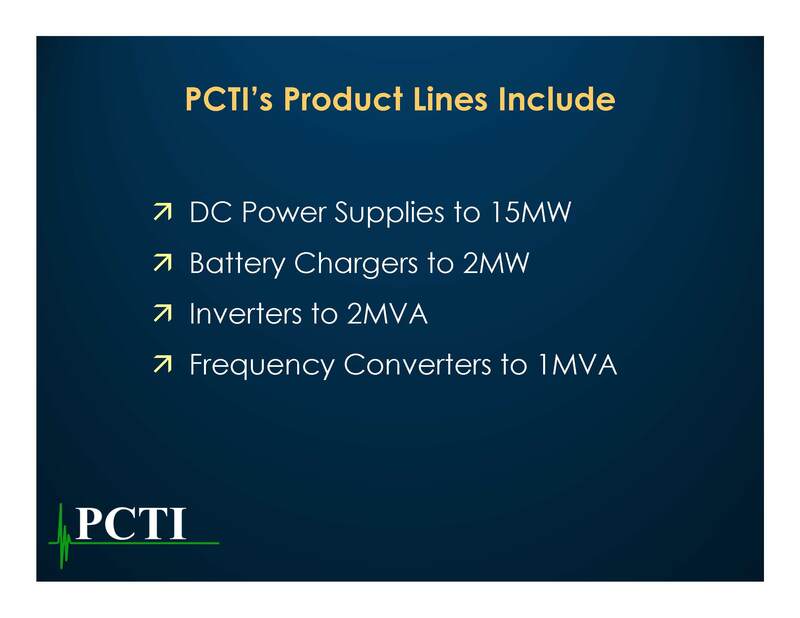 Equipment manufactured at PCTI has been designed for production efficiency and maintainability in order to provide the best value for the customer. 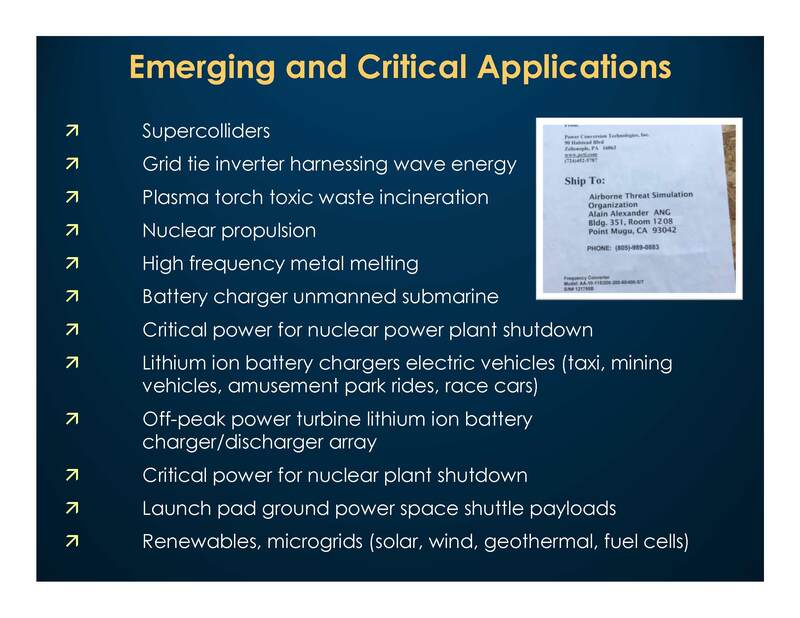 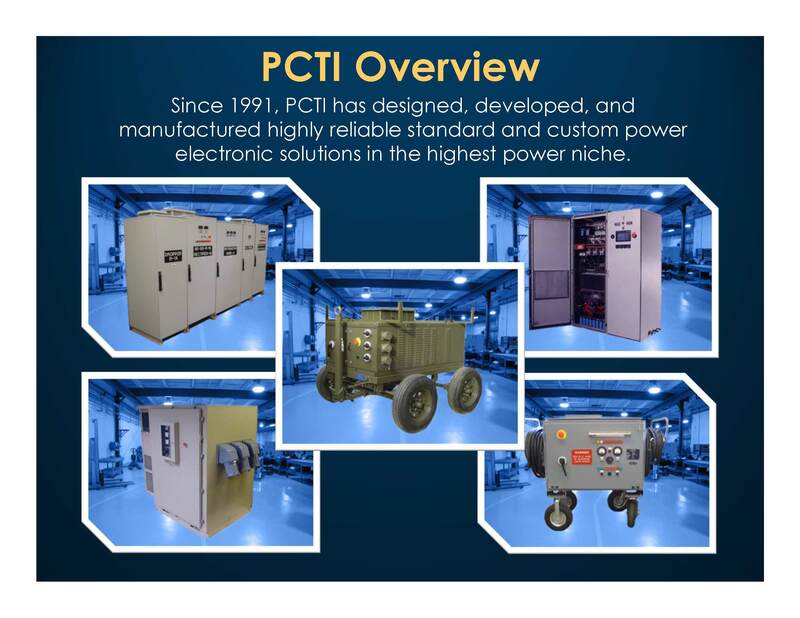 PCTI’s staff has industrial applications expertise in the power conversion field dating from the introduction of industrial power electronics in the 1960’s to the modern industrial applications existing today and those that will exist tomorrow. 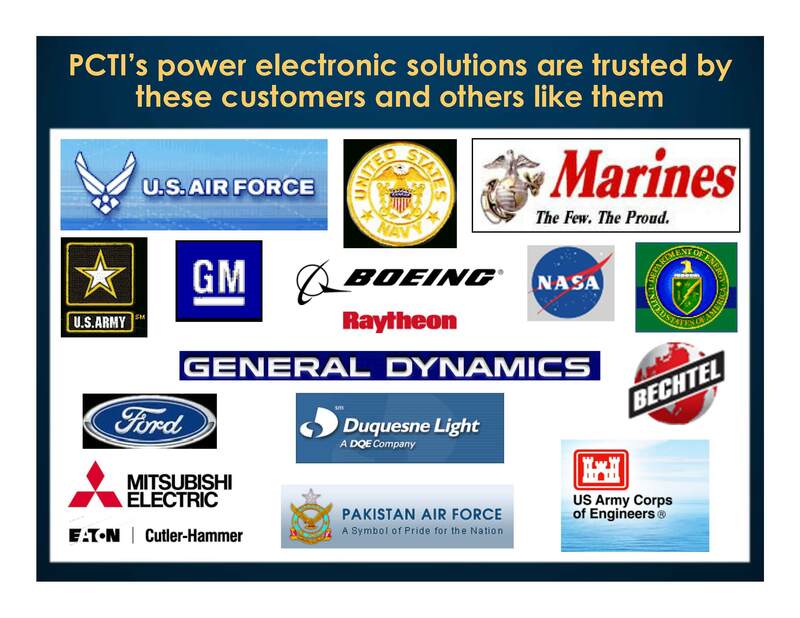 Our customers are located throughout the world in Europe, Asia and the United States and include general industrial customers, and military customers both domestically and internationally. 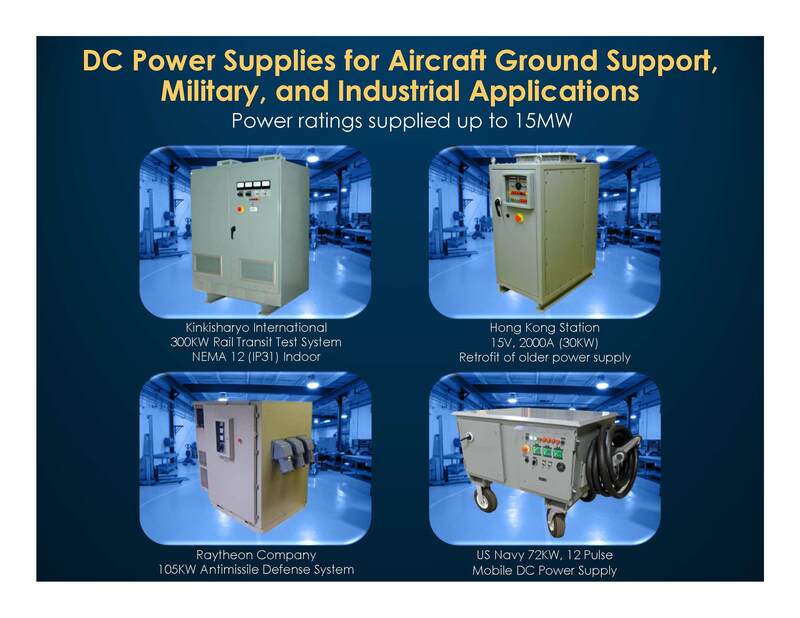 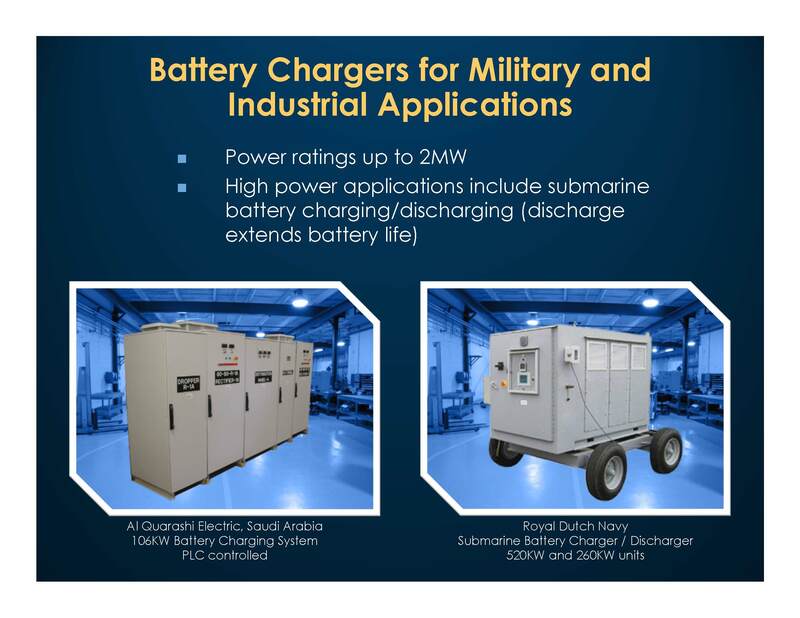 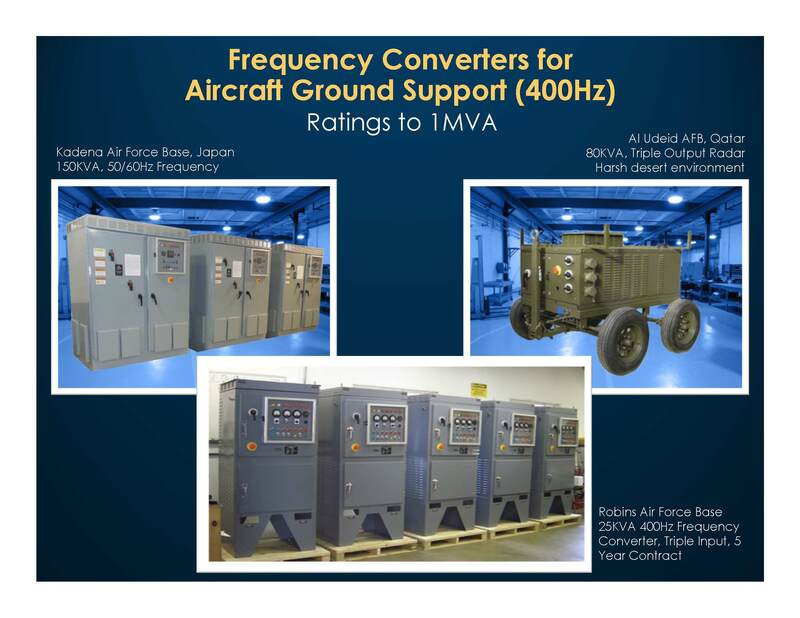 Some of our typical applications include heavy industrial applications, equipment for research laboratories, aircraft ground support, battery chargers, metal finishing, testing, water conditioning, electrochemical processes, transportation, custom distribution equipment and telecommunications. 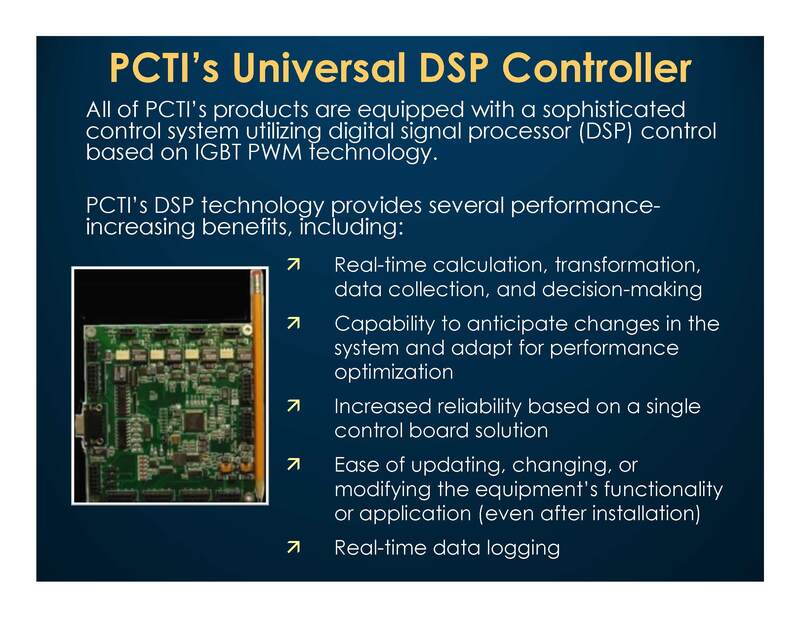 Want to know PCTI better?